London, 7 March (Argus) — Oil product stocks held in independent storage tanks in the Amsterdam-Rotterdam-Antwerp (ARA) trading hub rose slightly owing to higher naphtha and jet fuel inventories. Naphtha stocks climbed to their highest level since 25 October. 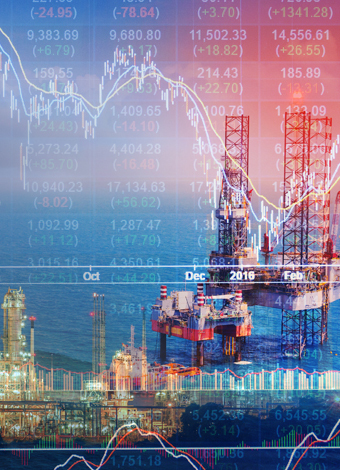 The northwest European naphtha’s discount to benchmark North Sea Dated crude narrowed by $3.75/bl to $4.93/bl in the month to yesterday, reflecting firming demand in the region. Prices have also been supported by a rise in outflows to the Asia-Pacific region, where demand has also been firmer. Tankers arrived in the ARA area from Algeria, Estonia, France, Russia, Spain and the UK. Jet fuel stocks rose. The Zefyros arrived from the UAE in the past week and offloaded a 35,000t cargo. Tankers departed for the UK and Ireland. Northwest Europe remains an attractive destination for jet fuel cargoes arriving from east of Suez amid ample supply in the Mediterranean and rising supply in the US. Gasoline inventories were broadly stable, but higher volumes flowed in and out of the area. Northwest European outflows to the US have been supported by falling gasoline stocks on the US Atlantic coast. They fell by 4.2mn bl to 250.7mn bl in the week to 1 March, according to the most recent data from the EIA. Gasoil inventories were stable too. Overall barge flows to the European hinterland were steady on the week but increasing volumes heading to storage terminals in Strasbourg caused some congestion in the area. Fuel oil inventories fell to their lowest since 15 March 2018. The two very large crude carriers (VLCCs) Nave Electron and VL Prime departed Rotterdam for Singapore in the past week, while smaller tankers left for west Africa.